On the afternoon of Monday, September 3, 2018, Dr. Gregory Jack Grant, age 63, of Marion, North Carolina went home to be with the Lord with his loving family by his side. A native of Catawba County, Gregg was born on October 5, 1954 to Jack Grant and the late Ima Jean Reid Grant. 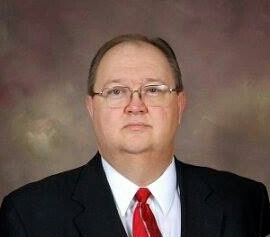 Gregg was a member of West Court Baptist Church for forty-four years. He was in the ministry for over fifty years mostly pastoring and evangelistic work throughout the United States and to four foreign countries. Gregg was an avid sports fan who enjoyed pulling for the Atlanta Braves, University of North Carolina and the Dallas Cowboys. In addition to his father, he is survived by his wife of forty-three years, Gail Parker Grant; two children, Donna M. Grant and Michael Grant and wife Regenia; one brother, Bryan Grant and wife Debbie. Also surviving Gregg are his first grandchild to be born in March; three nephews, one niece and two great-nephews. The family will receive friends on Thursday, September 6, 2018 from 6:00 p.m. until 8:00 p.m. at West Court Baptist Church. A homegoing service to celebrate Gregg’s life will be held on Friday, September 7, 2018 at 2:00 p.m. at West Court Baptist Church with Reverends Kevin Hager, Tim Huffman, Rick Shoemaker and Dr. Michael Grant officiating. Interment will take place following the service at West Court Baptist Church Cemetery with Reverend Jeff Harmon and Mr. Bryan Grant officiating.